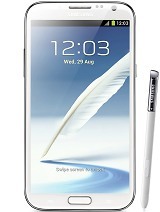 it is a good phone i can get more Inexpensive can tell me it hood or not? I used this phone for 3 months... this is the best phone I ever had..
AnonD-348623, 04 Mar 2015i also faced a similar situation of camera failed jst remove your memory card and restart your... moreI'm having problems with the camera failing as well and I don't have a memory card in my phone. This has been the worst phone ever. I had for 2 to 3 months and the camera stopped working. I was told it was a known issue with some batches and they sent me a new one. I've had the new one less than a week and the camera stopped working again. I switched from an IPhone because I loved the huge screen and it wasn't worth the switch. for a 6 incher, I would choose z ultra any day! Comparing the features, mega 2 is way below Z ultra except it has flash! well it used Snapdragon 410 and Z ultra uses snapdragon 800, its processor is clocked at 1.2 Ghz and Z ultra at 2.2 Ghz, it has 1.5 GB RAM and Z ultra has 2 GB, it won't get any Software update and it was released with kitkat, and z ultra already got lollipop 5.0.3 (Since its among the flagship device) and is expected to get 5.1 update as well! + Samsung has a tendency to use outdated GPU as well! lol at Samsung! when someone call me, my ringtones ascending. from lowest to loudest. i want the ringtones stable. how to make it? anybody can help? or it impossible to do that? is it this mega 2 just like that. AnonD-373823, 11 Apr 2015I want to go for Nokia 1320 or L640xlTry the Nokia lumia 1525 also. AnonD-373823, 11 Apr 2015I want to go for Nokia 1320 or L640xlAll the best..
AnonD-373823, 08 Apr 2015no gorilla glassYeah.. and you save a few hundred..
Go and get s5 or s6 if you are that rich..
St.q, 06 Apr 2015Is it good for gaming? I'm not that heavy gamer but like c.o.c? How long its battery last?IMO, the battery could last for half a day.. I read a lot and played games quite intensively, so i can say that for sure..
AnonD-365057, 08 Apr 2015This phone was launhced in sept 2014 and the alpha in Aug 2014. HTC 820 was launched in sept 2... morejust go to htc820 then.....y so bz to complant.. This phone was launhced in sept 2014 and the alpha in Aug 2014. HTC 820 was launched in sept 2014. 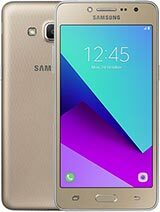 Samsung cannot match the specs of 820 dual with something missing. Alpha have memory card, dual SIM and radio missing. 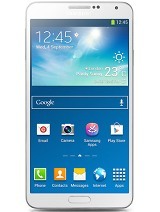 It is high time Samsung launch a phone in between E7 and A7 with specs greater than alpha. A5 has the radio but no dual SIM. Also A5 is quad core 1.2 Ghz. 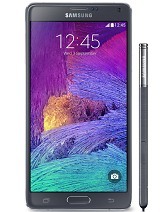 Can they launch a good phone with all the specs of Z1/ HTC 820 with dual SIm . This should be priced less than A7 and more than Z1. Is it good for gaming? I'm not that heavy gamer but like c.o.c? How long its battery last?